What to know: We are not meant to be mind readers. Based on a true story. 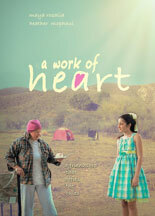 A grieving twelve year old fosters a kinship with a homeless woman. Defying her mother's rules, the tween formulates a plan to get her friend off the streets. She is unpleasantly surprised at the outcome of her altruistic intentions.